The U.S. Department of Agriculture (USDA) gave $303,890 in wool loans to an Iowa couple that "owned no sheep." Howard "Jack" Aleff and Reena Slominski, of Knoxville, scammed the federal government for six years and were ordered to pay the United States $1,376,670 in a civil judgment announced on Jan. 29. The married couple filed 132 fraudulent applications for "sheep that were never sheared" to receive loans awarded by the Farm Services Agency intended to encourage wool production. The program spent $7 million in fiscal year 2012. "Over a period of six years, the couple presented bogus documents to the FSA, Commodity Credit Corporation, that appeared to be legitimate business transactions to support their requests for wool loan deficiency payments when in fact they owned no sheep," according to the U.S. attorney’s office of South Dakota. "As a result, the United States paid them $303,890 to which they were not entitled." Aleff and Slominski, whose business was called "L & J Wool & Fur, Inc.," had already paid a $60,000 fine and $303,890 in restitution after they pled guilty to Conspiracy to Defraud the United States in September 2012. They were also sentenced to five years of probation. The government began subsidizing wool and mohair production in 1947, according to the Congressional Research Service. "The National Wool Act of 1954 (P.L. 83-690) established direct payments for wool and mohair producers," according to the CRS. "The act’s stated purpose was to encourage production of wool because it was considered an essential and strategic commodity. No similar purpose was stated for the mohair program." The Government Accountability Office (GAO) has questioned the federal government’s need to support the declining wool industry since 1982. The program spent $2 billion between 1955 and 1988. 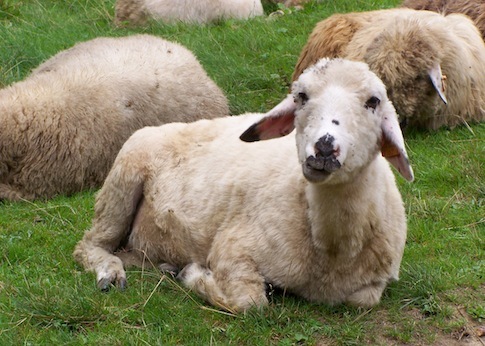 That year GAO reported that the "wool portion of the program had a limited effect on its objectives and was not an effective means to solve the sheep industry’s problems." Direct payments were phased out in 1995, according to the CRS, but the program was revived in 2002 in the form of marketing assistance loans and loan deficiency payments. The program still spends roughly $7 million per year and spent $8 million in 2010.